Tradition has it that there’s no point trying to sell your home in late winter, especially the holiday season. And every year at this time, listings bottom out. But Realtors report that buyers are out there, and desirable, well-staged, well-priced homes still sell well, no matter what month it is. 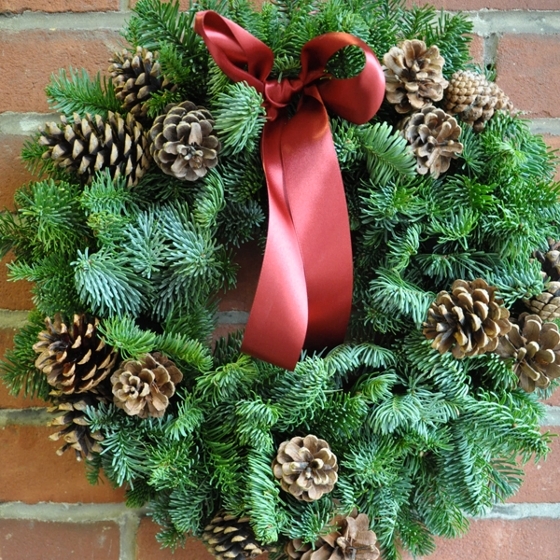 Here are some seasonal strategies to make your home stand out in the December/January market. Many people house hunting in December and January are serious buyers who are aware that there are bargains out there. Consult with your Realtor to determine the ideal price for your home and make a plan for negotiating to reach it. Don’t reject initial lowball offers. They may be just a starting point. How do the front and back yard look? It’s winter and the garden is sleeping, but can you make it look better with pots of attractive winter-hardy plants? If you’re planning on selling, it’s probably worth the investment to hire landscapers who can add curb appeal to your home. This goes for any time you’re selling. Eliminate all clutter, remove personal touches—make your home as neutral as possible so buyers can imagine living in the space. If you can’t bear to part with your clutter, hire a stager. Getting rid of stuff adds huge value to your home. Much as we love to lay it on thick during the holidays, decorations equal clutter, and clutter is a bad thing at an open house (see Tip 3). Instead of decking the halls to the hilt, just put up a few dramatic but simple decorations. Avoid overtly religious seasonal decorations during the holidays. In a multicultural region like ours, consider a nature theme: evergreens, rosemary branches, candles, berries, pinecones, lights. A few dramatic sprays or a small tree are festive without being overbearing. House hunters want to see everything, so don’t use holiday decorations to hide some flaw. Cracks, mould, water stains, whatever… it’s better to fix them than hide them. Otherwise, like the Ghost of Christmas Past, they’ll come back to haunt you. This is the season when you can really appeal to the most primal sense: smell. For open houses, simmer a big pot of some kind of punch with apple and spices on the stove to make the space smell like everyone’s best memories. Or bake some special cookies just before you leave. Use real scents, not fake ones. You’re busy, your Realtor is busy, everybody’s busy —you can get away with just a couple of open houses during the holiday season. There are interested buyers out there. They’ll come because they’re serious. Buyers will be doing much of their house hunting online, so work with your Realtor to make your listing really sell your home. Include lots of photos—even video or a virtual tour—so viewers can get a real sense of your home. Include a couple of summer photos so people can see what the garden looks like at its best. In the listing itself, include key words that people will use in their online search, including the neighbourhood, the schools nearby, and the style of home. Use these more than once so the search engines will give your listing a better position in the search results. Finally, check the copy for spelling and grammar so it looks professional.